KAMPALA – Uganda Cranes head coach Sebastian Desabre has summoned a squad of 33 players as his side builds up to their third match of the 2019 AFCON qualifiers at home to Lesotho. The squad that will start training early next month features 16 foreign-based players with the other 17 playing their trade in the StarTimes Uganda Premier League. Like it has always been the case when the Frenchman summons his squad, there have again been surprising inclusions and omissions. Bulgaria based forward William Kizito Luwagga who had a dreadful show against Tanzania has been dropped along with striker Yunus Ssentamu. Also missing on the list is Denish based midfielder Moses Opondo who did not feature in the goalless draw against Tanzania last month. 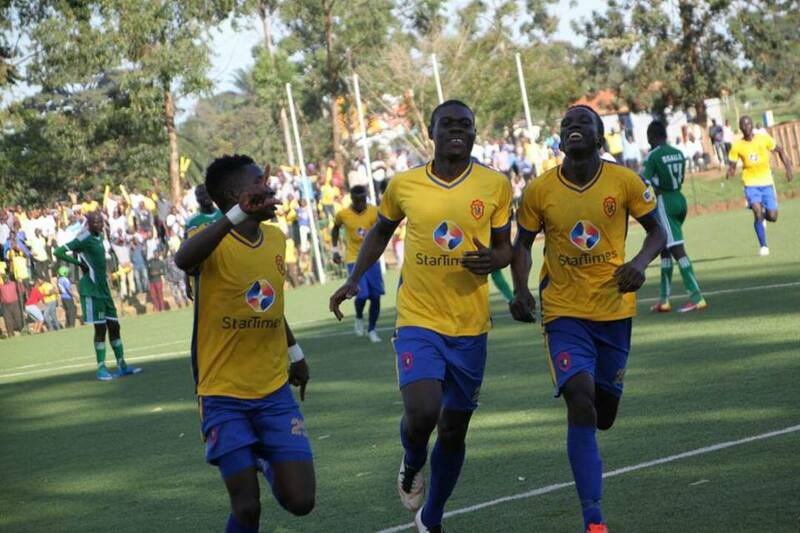 The squad has also seen the KCCA trio of young stars-Mustafah Kizza, Allan Okello and Julius Poloto make the list. The trio has for periods been media outcry to be included and finally, Desabre has conceded to have them in the senior squad having featured previously for the U20 national team. In goal, Desabre has stuck with the four he summoned initially for the Tanzania game. Captain Denis Onyango is again joined by Ethiopian based-Salim Jamal, KCCA’s Charles Lukwago and Onduparaka custodian Nicholas Ssebwato. In defence, Kirinya’s Isaac Isinde who was dropped as the squad to face Tanzania was being trimmed, has been called up once again along with Kasasiro Boys’ Bernard Muwanga and Proline’s Mustafah Mujuzi. The midfield has not seen a major shake-up apart from SC Villa captain-Ambrose Kirya and KCCA’s Allan Kyambadde joining the cast. However, there is still no room for Raja Casablanca’s Muhammad Shaban in Desabre’s striking set-up despite the 20-year-old being on the lips of several Ugandans but Nelson Ssenkatuka has been given a chance to impress. Ssenkatuka has lately been left frustrated after he has consistently failed to make the squad despite an impressive season, last. Uganda will go into the Lesotho game hoping to solidify top spot in Group L. They currently lead the standings on four points from two games. The Cranes defeated Cape Verde 1-0 in their first game before drawing 0-0 at home to Tanzania last month. Local based players will start training on 5th October before the rest of the squad joins three days later for the residential camp ahead of the back to back ties against Lesotho to be played in a space of four days. The final squad of 24 players for the residential camp will be named by the head coach on 7th October, 2018. Goalkeepers: Denis Onyango (Mamelodi Sundowns), Jamal Salim (El Meriekh), Charles Lukwago (KCCA FC) and Nicholas Sebwato (Onduparaka FC). Defenders: Isaac Isinde (Kirinya Jinja SS), Murushid Juuko (Simba SC), Timothy Awanyi (KCCA FC), Denis Iguma (Kazma FC), Nicholas Wadada (Azam FC), Bashir Asiku (Vipers SC), Musitafah Kizza (KCCA FC), Musitafa Mujuzi (Proline FC), Bernard Muwanga (KCCA FC), Godfrey Walusimbi (Kaizer Chiefs) FC, Isaac Muleme (Haras El Hodood). Midfielders: Joseph Ochaya (Lusaka Dynamo), Hassan Wasswa (El Geish), Khalid Aucho (Church Hill Brothers, India), Ibrahim Saddam Juma (KCCA FC), Tadeo Lwanga (Vipers SC), Allan Kateregga (Cape Town City), Faruku Miya (Gorica ), Ambrose Kirya (Sc Villa), Allan Okello (KCA FC), Julius Poloto (KCCA FC), Moses Waisswa (Vipers Sc), Milton Karisa( MC Oujda), Allan Kyambadde (KCCA FC). Strikers: Emma Okwi (Simba SC), Edrisa Lubega (SV Ried), Derrick Nsibambi (Smouha), Patrick Kaddu (KCCA FC), Nelson Senkatuka (Bright Stars FC).